Have you ever needed just a gentle push to get you going in the right direction with your eating habits? Or you just need a bit of inspiration around your meals to get back on track with healthier eating? This mini consult is designed for this and more! I will send you a food diary form for 2 days to complete along with a one page form to give me more info about your eating habits. I will assess your meals and factor in the info you provide about your age, stress, hormones, lifestyle and exercise habits. My area of expertise is how your eating habits impact your hormonal health. I can help you greatly improve your symptoms just by suggesting “meal tweaks”. The good news is that women and men often notice a difference in just one day from the changes we generate together. It’s exciting to experience the power of healthier eating! You’ll receive a step-by-step guide of small changes in your meals than can help you boost your metabolism and simplify your meal planning. Not every part of your diet and lifestyle needs to change. You’ll see what you’re doing right and how you can make some small changes to break habits that are keeping you stuck. You’ll discover a way of eating that can keep you free from hunger and improve your energy levels, naturally! 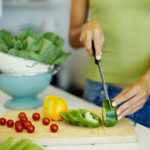 This is not a quick fix diet plan, but rather, implementing small sustainable changes towards a healthier way of eating. You can implement the plan immediately,too! I can’t wait to get started working with YOU! A typical office visit with me costs 195.00 for a 75 min appt. 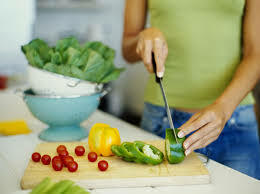 Although this mini session doesn’t include the depth of the assessment I typically provide, you will still benefit from my 33 years of expertise as a Registered Dietitian during this 30 min session for just $75.00! There are no hidden fees or contracts to sign. If you found value in the session, I can offer you other online programs that can support your health goals. You get to choose! To learn more about my services and to read some recent testimonials or view my videos, click the link below.